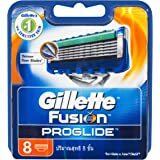 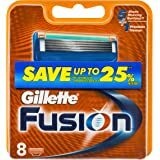 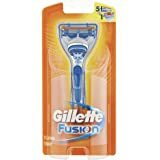 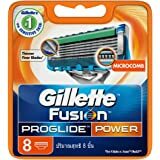 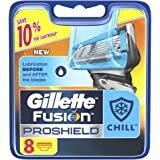 Gillette Fusion ProGlide Power men's razor cartridge features 5 precision blades of Gillette's thinnest and finest blades for incredible comfort. 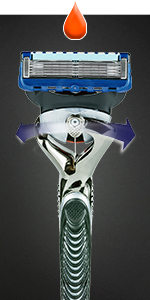 The Precision Trimmer on the back of the razor is great for edging tough areas under the nose and sideburns. 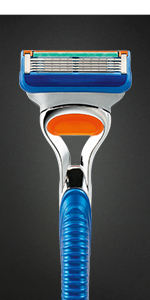 These Fusion ProGlide cartridges can be used with any Fusion razor handle. 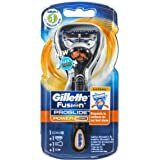 It’s not just that five blades cut better than one, Gillette Fusion Power blade technology features five blades spaced closer together to help supply a closer and more comfortable shave*. This single blade built into the back of the cartridge helps to shave tricky places like sideburns and under the nose. 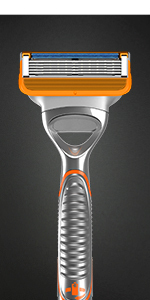 The Precision Trimmer blade can be used with the power turned on or off, whichever its user prefers. 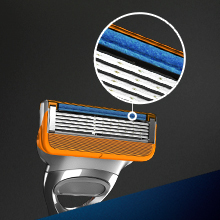 The Indicator Lubrastrip sits at the top of your blade and makes shaving smoother by delivering water-soluble lubricants to the skin for improved glide and comfort. 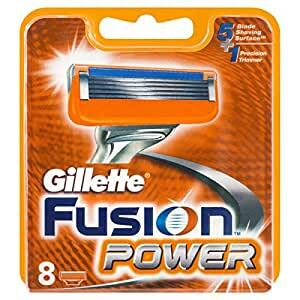 It also fades to white to let you know that you are no longer getting an optimal shave, easily fixable with another Gillette Fusion Power blade. 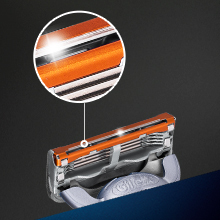 The Skin Guard on the blades is comprised of soft Microfins that precede the blades and help stretch and prepare the skin before the first blade cuts the first hair for a close, comfortable shave. 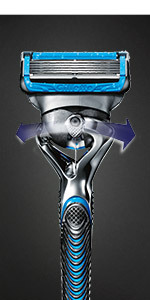 Experience Fusion ProShield. 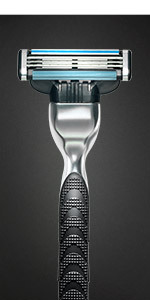 Gillette’s most advanced shave. 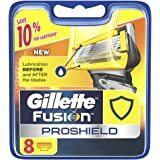 Revel in Gillette’s unparalleled shaving technology with the Gillette Fusion ProShield men’s razor, the only Gillette razor to shield while you shave. 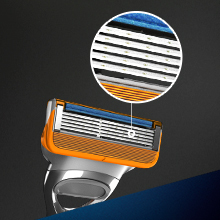 The ProShield razor is the first of its kind to feature lubrication strips before and after the blades to form a protective layer and shield your skin from irritation. 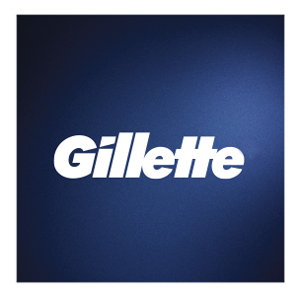 Warm water is best for hydrating beard hair. 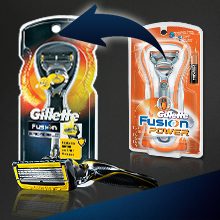 Soaking in warm water softens hair and causes it to expand, making it easier to cut. 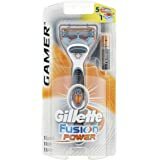 5.0 out of 5 starsWho'd Ever Thought it would be Cheaper Buying These Over the Internet? 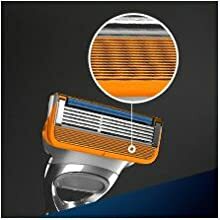 5.0 out of 5 starsDoes what it's supposed to do.